There’s a real science to tailoring and the way a business suit makes us feel, and perceive ourselves and the world is scientifically proven. The 2015 study by California State University experimented with test subjects who wore both a casual outfit and a business suit. During cognitive testing they found that those who wore suits demonstrated more abstract processing skill than those who wore casual attire. The conclusion was that wearing formal wear makes us feel more powerful, and with this confidence we are able to think more abstractly. But what lies behind the psychology? 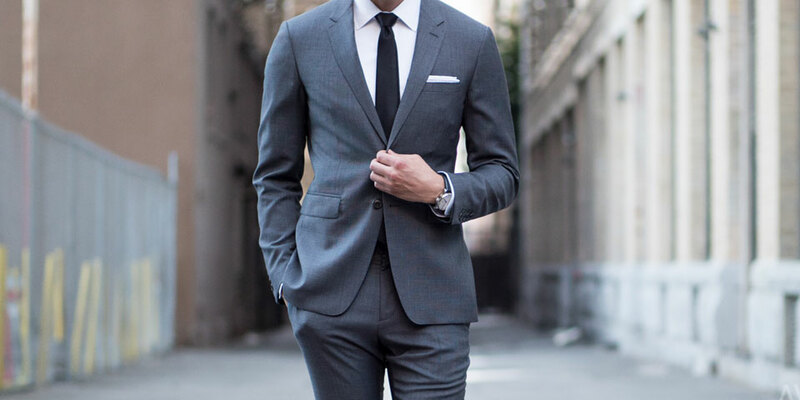 There's a reason suits have stood the test of time as the number one men's item of clothing. Sure style has changed over the centuries, but it remains a core stay of every gentleman’s wardrobe. While it’s not a mystery that two and three-piece suits give an overall look of sophistication, underneath the minutiae of suit construction can make or break a suit's design. A suit should have sharp shoulders with the seam lying directly on the end of the shoulder bone. This defines and illustrates the form without over-accentuating the width of the body, which creates the structure for the rest of the garment. Depending on the fashion shoulder pads should be soft and move with the form of the body, and not be too stiff like the stereotypical 1980s Wall Street tycoon. From the shoulder falls the rest of the suit, which should have clean lines from top to bottom. It all starts with the shoulder seam sloping slightly and with a smooth curve into the sleeve. The waist should be defined elegantly to give the wearer shape, the back should be smooth around the shoulder blades and towards the waistline, and the trousers should fall effortlessly from the hip bones without obstruction. The rule is the cleaner the lines the sharper the suit. A most important feature is the suit's breathability. Fabrics should also always be manufactured from natural fibres and synthetics avoided at all costs. Dressing for the season allows the wearer to have the most appropriate fabrication for the climate, meaning heavier wools for winter and cottons and linen for summer. Certain fabrics such as mohair and silk will give the fabric a lightness and luxury and allow for greater temperature comfort. When choosing fabrics patterning is also a consideration, meaning one can shy away from the staple colours of black, navy and grey by introducing checks, stripes and other patterns into their wardrobe. Of course you can always mix and match items for a different look each day. Accessories such as pocket squares and ties are the final element to the suit and like the suit itself can benefit from subtle patterns and textures. A high-polish leather shoe gives the look the final touch and reveals a man's dedication to looking the part. And that's how to achieve the best business suit; not only is it a science, but it's an art.